Home / News / How Long Does Timber Decking Last? As one of the leading decking suppliers in Melbourne, we have spent almost three decades in the industry, providing trade professionals and DIY handymen with some of the best timber in the country. And during this time, we’ve had the privilege of handling a range of different timbers and getting to know the quality of each individual species, including how long each lasts. At Australian Treated Pine, we love two particular timbers more than any other, and these are merbau decking and treated pine decking. Each have their own strengths, which we will cover today, along with which one lasts the longest (If you’re interested in either, you can buy decking online at our store). Merbau decking is an extremely durable and high-quality hardwood that people love to work with. Despite being a hardwood, it cuts and fastens extremely easily and has a deep red finish that ages beautifully and only gets finer with time. 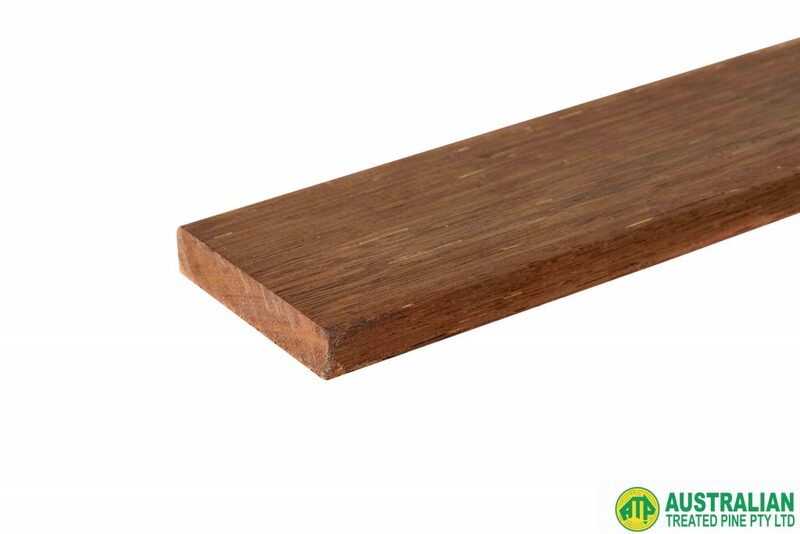 Imported from Southeast Asia, merbau is one of the hardest and most sturdy timber species growing on the earth today. The fact is, it’s so durable and rugged that in order to harvest, process and manufacture it, special machinery is required. In most cases, timber needs to be treated thoroughly after harvesting in order to preserve it. Merbau on the other hand has powerful natural preservation properties. It contains a wealth of oils within the wood that prevent it from cracking, splitting and shrinking. What makes it unique is that it bends and turns easily, which is unusual for most hardwoods. Any experienced woodworker familiar with merabu will attest to how malleable it is and just how much workability it provides. To top it off, merbau is bushfire resistant. It’s actually one of the only seven timbers approved for use in regions of Australia that are known to be bushfire prone. How’s that for longevity?! Treated pine decking is another favourite of ours for many reasons. Firstly, the greatest strength of treated pine decking is that it’s versatile. It’s such an easy timber to match with any colour scheme or design as it can be stained or painted in a wide variety of ways and blend into most settings. Treated pine is actually one of the few timbers with this capability. Another strength of treated pine is its cost economy. It’s a simple timber that allows you to keep some change in your wallet. If you love the way treated pine looks and feels, the money savings are a welcome bonus. Not unlike merbau decking, treated pine is easy work with (granted it’s not a hardwood, but a softwood). Pine has no difficulty in taking nails or screws and requires little effort to do so. Another thing to keep in mind is that recently there has been a shortage of timber in Australia, though treated pine seems to be the exception to the rule. Due to the rate at which pine grows, it is proving reliable in meeting demand. Compared to merbau, treated pine still has great longevity, lasting between 15-20 years. Considering the price difference between merbau and treated pine, you definitely get the lifespan you pay for. Have you got any experience with merbau decking or treated pine decking? Leave a comment below and let us know.